It’s that time of year again! | Meghan Kelly Teles! 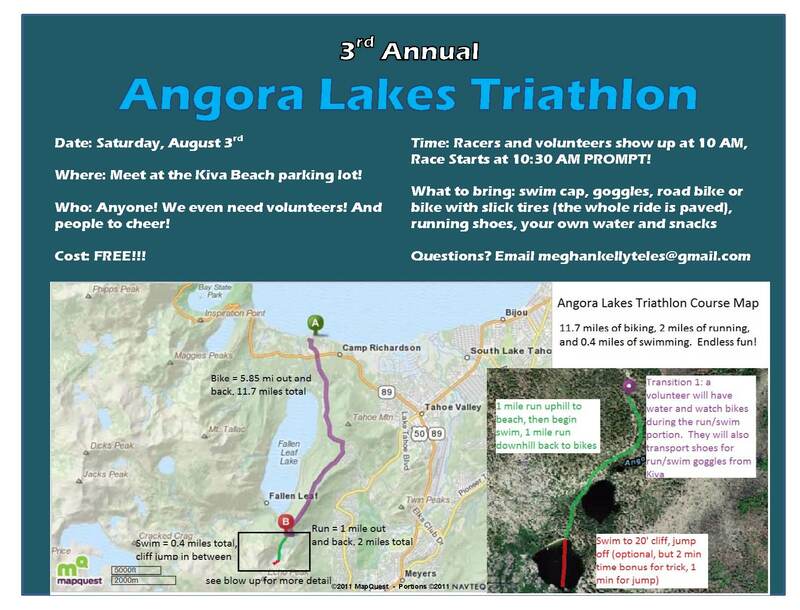 Time for the 3rd Annual Angora Lakes Triathlon! See you at Kiva Beach at 10 AM August 3rd! Read a recap from last year here. Last year’s top 4 talk about what it takes! Pingback: Committing to New Goals in WRITING! | Meghan Kelly Teles!